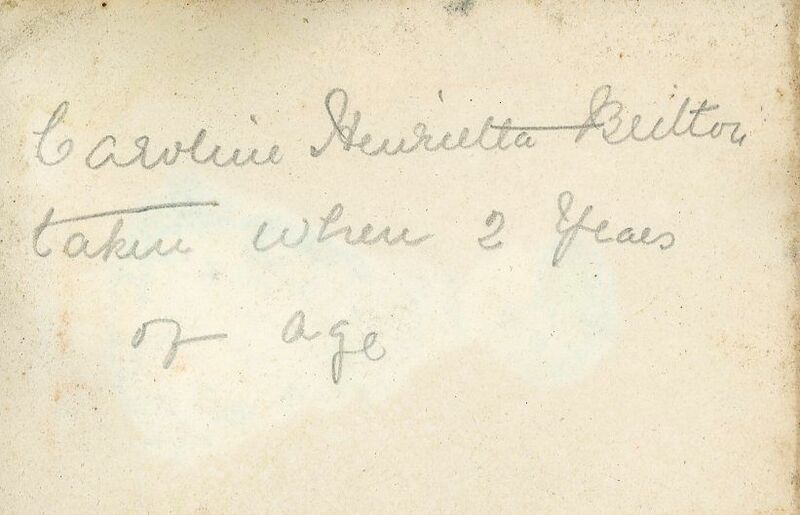 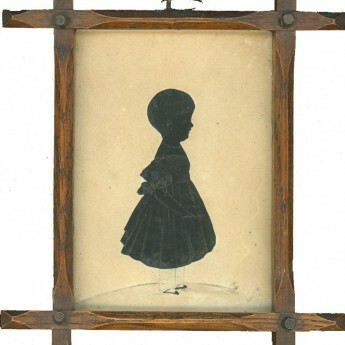 A sweet cut and lightly bronzed silhouette profile of Caroline Henrietta Britton at two years old. 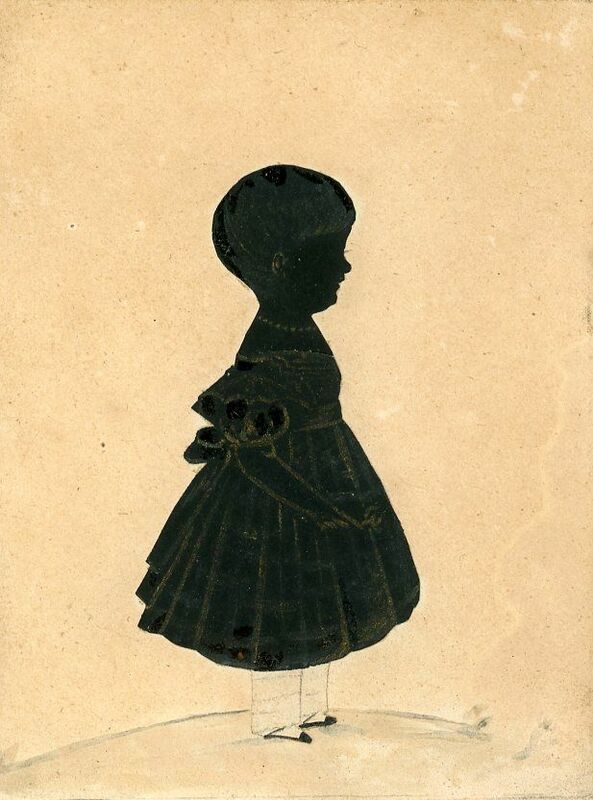 Caroline is depicted in a short sleeved dress with puffed sleeves and a bow tied at the back of the waist over white pantaloons (or drawers) and tiny black shoes with ankle straps. 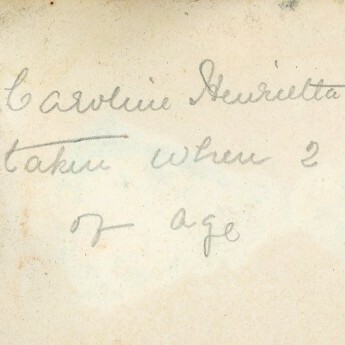 The silhouettes is inscribed on the reverse and also on the backing card. 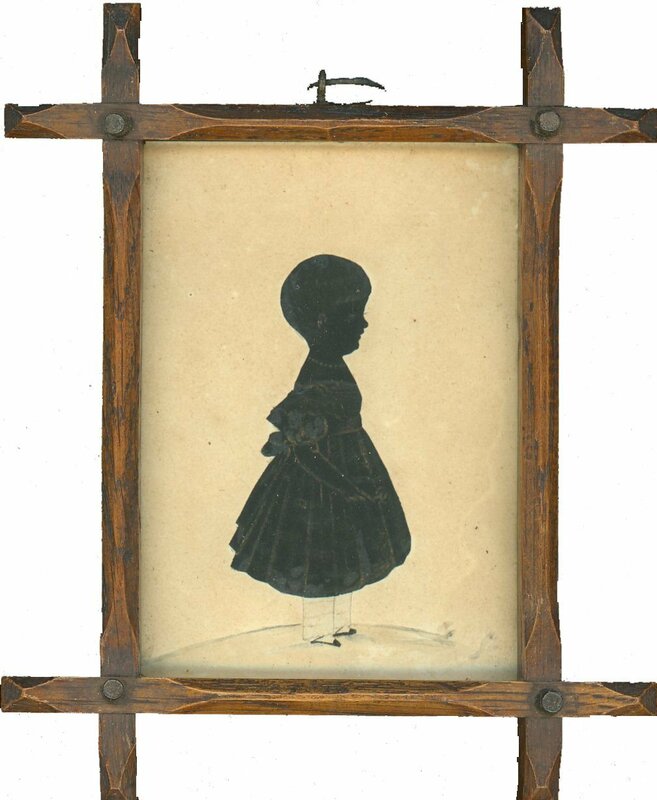 It is housed in the original oak Oxford frame.